Relationship Coaching: Do you multiply or divide? Don’t lose your life because someone leaves your life (video). 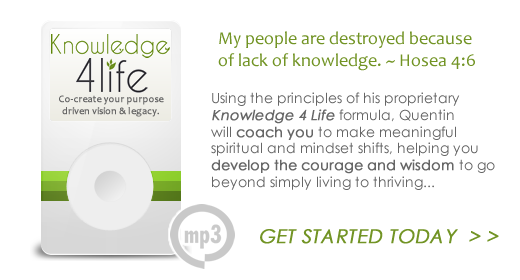 Using the principles of his proprietary Knowledge 4 Life formula, Quentin's coaching products and one-on-one solutions help professionals make meaningful spiritual and mindset shifts while they develop the courage and wisdom to go beyond simply living to thriving.